In this book, Dr. Plum describes her own 30-year spiritual journey through many studies of alternate healing techniques like Spiritual Healing, Reiki, Polarity Therapy, Zero Balancing, Craniosacral Therapy, Acrupressure and Color Healing. 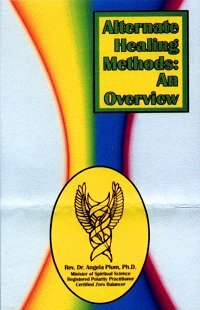 The result is a comprehensive reference book for anyone knowledgeable or new to the field who wants access available.